I made yangnyeom-tongdak last night from my cookbook, using 2 pounds of chicken wings. It was so good: juicy, super-crunchy, sweet and spicy too! I will make it again soon, maybe for my friend’s July 4th party. 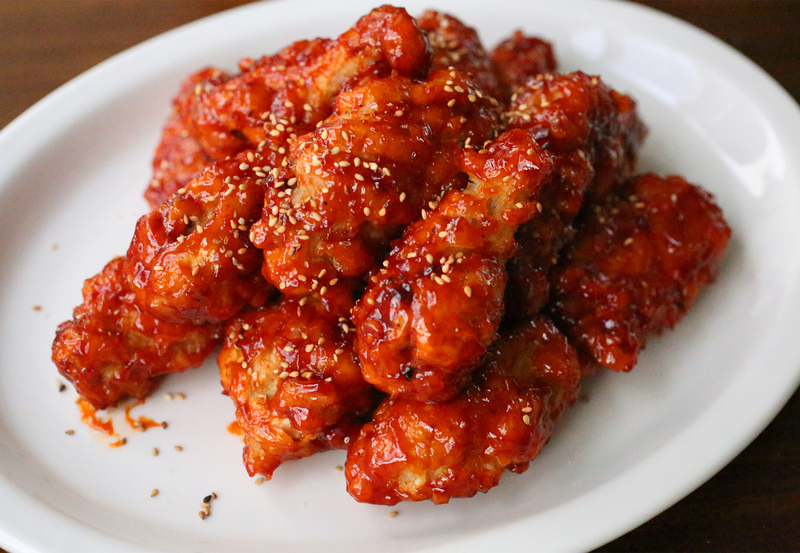 The recipe for my yangnyeom-tongdak (양념통닭) is here if you want to make it. Posted on Wednesday, June 24th, 2015 at 10:41 am.